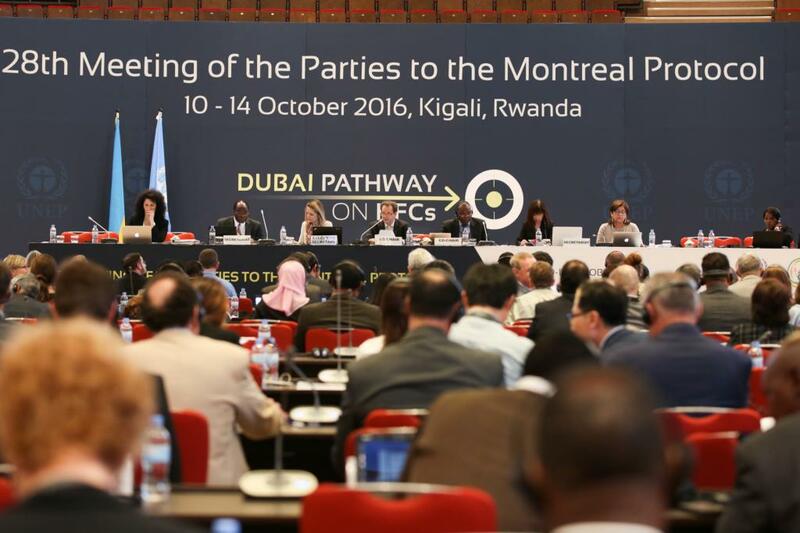 In a positive move towards fighting climate change, 197 countries have agreed upon an amendment to the Montreal Protocol for phasing down the planet warming hydrofluorocarbon (HFC) gases. While HFCs do not deplete the ozone layer, their global warming potential is thousand times more than carbon dioxide. Under the agreement, developed countries will reduce HFC emissions use first, followed by a group of Article 5 countries including China. India and nine other countries in South and West Asia will follow suit. Overall, the agreement is expected to reduce HFC use by 85 per cent by 2045. Countries are divided in three groups, as per their phase down schedules to freeze and reduce production of HFCs. The developed countries, led by the US and Europe, will reduce HFC use by 85 per cent by 2036 over a 2011-13 baseline. China, which is the largest producer of HFCs in the world, will reduce HFC use by 80 per cent by 2045 over the 2020-22 baseline. India will reduce the use of HFCs by 85 per cent over the 2024-26 baseline. The amendment also increases funding support to developing countries. In addition to their phase down deadlines, developed nations have agreed to cut 70 per cent of their HFC use by 2029. This means India will start reducing its HFC consumption when the developed countries would have reduced their consumption by 70 per cent. The Agreement upholds the principle of Common but Differentiated Responsibilities and Respective Capabilities, said the Ministry of Environment, Forest and Climate Change in a press release. The agreement recognises the development imperatives of high-growth economies like India, and provides a realistic and viable roadmap for the implementation of a phase-out schedule, it said. Director general of Delhi-based Centre for Science and Environment, Sunita Narain also welcomed the agreement. “The agreement reflects the emerging reality of a world in which China will have to take more and more responsibility to solve global environmental issues,” she added. Earlier, India announced domestic action on HFC-23 (trifluoro-methane), a super greenhouse gas with a GWP of 14,800, which is produced as a byproduct of HCFC-22 (chloro-difluoro-methane).